We have created a page for IREPS Blog on social networking site Google+. You may follow this page to get updates when a new post become published on www.irepsblog.com. In case no financial bid is received in Reverse Auction, the assignee Officer can reschedule the auction for a later date. From bar-coding rail tickets to smart metering, the Centre for Railway Information Systems is a key partner in Indian Railways’ IT journey. Sanjaya Das (55) is the Managing Director of Centre for Railway Information Systems (CRIS). 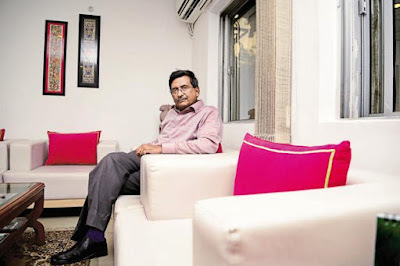 He started his career with the Railways in 1981, working for its Indian Railway Traffic Service in 1981. An inclination towards technology brought him to CRIS. From bar-coding rail tickets to smart metering, electronic procurement and online crew management, Centre for Railway Information Systems (CRIS) is a key partner in Indian Railways’ IT journey. CRIS claims its IT applications fetch Indian Railways about Rs. 427 crore every day. 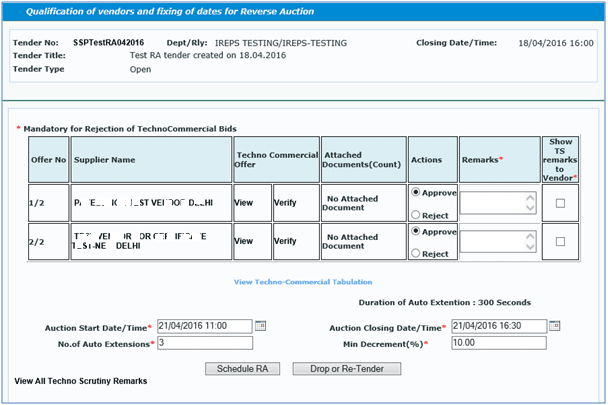 How to schedule a Reverse Auction Tender for Bidding? IREPS e-Auction: What is Reverse Auction in terms of IREPS application? 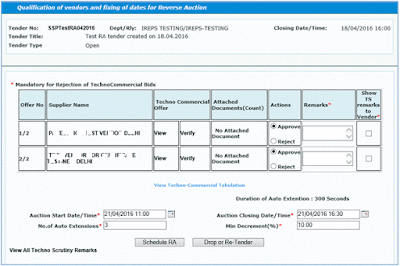 Reverse Auction Process works on the same lines as the Forward Auction for bidding purposes. The difference lies in the fact that tenders are required to be created to invite and technically qualify the vendors for bidding on items tendered in Reverse Auction tenders which does not happen in Forward Auction. Do you know all these about Indian Railways e-Procurement System (IREPS)? More than 9,83,073 Tenders tenders issued through IREPS. More than 33,749 Vendors registered with IREPS for e-tendering. More than 2,414 Bidders registered with IREPS for e-auction. Scrap of more than 8,190.18 Crores sold through E-Auction on IREPS. Note: These stats are till 31.03.2016. For successfull login you need to update the JRE version installed on your system which should be 1.6 or above. 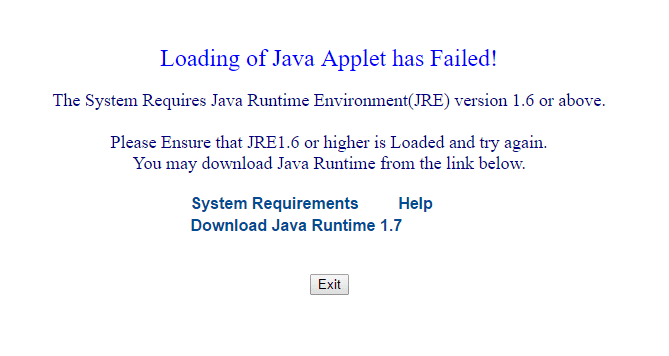 Click Here to download the latest version of Java Runtime Environment(JRE). 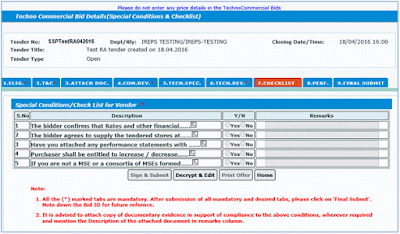 IREPS iMMIS: How to login into iMMIS through IREPS as a railway User? Open the IREPS home page by typing www.ireps.gov.in into address bar of your Internet Browser, go to Login tab and click on iMMIS. 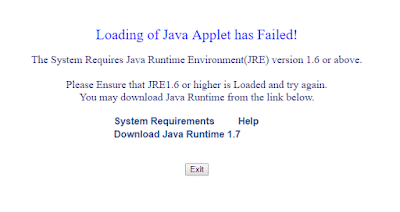 Java Runtime Environment(JRE) version 1.6 or above should be installed on your system other wise you will get the message that "Loading of Java Applet has Failed!" and you will be not able to ogin. Enter your user id & password into the user id /password field and press Login to verify that you are registered user for iMMIS. 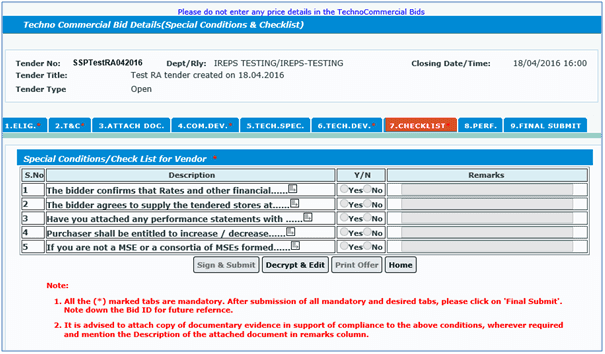 IREPS e-Tender: 1300+ Global, 550+ M&P and 1850+ RA tender published/opened on IREPS during FY 2015-16. More than 2,90,000 tenders (which includes more than 1,300 Global Tenders, more than 550 Machinery and Plants (M&P) Tenders and more than 1850 Reverse Auction (RA) Tenders) published/opened on IREPS website by various Zonal Railways, Construction Wings, Production Units, Railway Board and Other Units during FY 2015-16. IREPS e-Tender: More than 9,55,300 tenders published/opened through IREPS till now. More than 9,55,300 (more than 2,90,000 in FY 2015-16) tenders published/opened on IREPS website by various Zonal Railways, Construction Wings, Production Units, Railway Board and Other Units. All scrap buyers of East Central Railway are advised that, the East Central Railway is registered with Commercial Taxes Department of the state of Madhya Pradesh, whose registration number (TIN No.) is 23939166790.